Tomorrow's smartphone is here, and it's called the iPhone X.
iPhone X: It’s real, it’s here, and it’s very expensive. The iPhone X is a radical departure from the form factor of every other iPhone out there, including the iPhone 8 and 8 Plus. It comes with a jet-black edge-to-edge OLED screen topped by a TrueDetect camera system that enables a brand-new Face ID unlocking system and Animoji features. Apple revealed the iPhone X during the company’s annual fall press event in September, after months of rumor and speculation, followed by the biggest pre-launch leak ever. You have questions about the iPhone X, and we have answers. Here’s what you need to know about the iPhone X.
Macworld evaluated the iPhone X, and what we found is that Apple delivers not just a great phone; the iPhone X brings back the feeling of the original iPhone, that rush of holding the future in the palm of your hand. Read our review of the iPhone X. You can continue reading the FAQ to get the straight facts about specifications, buying information, and more. The iPhone X starts at $999 for 64GB of storage, which is the highest starting price of any iPhone to date. To compare, the 4.7-inch iPhone 8 is $699 for the same storage. The iPhone X is available in silver and space grey (sorry, gold fans—that finish is reserved for the iPhone 8 and 8 Plus). The iPhone X is now available for purchase, but you may not get one right away. As of this writing, if you go to Apple.com and order an iPhone X, the company says the phone will ship in about a week. Apple has said demand for iPhone X has been “off the charts,” but hasn’t released any specific pre-order numbers. You could try your luck by visiting your local Apple store; they have limited stock. If you go through the ordering process online, you can see if the iPhone X is available at the Apple store near you. If you think you might want to upgrade your iPhone on an annual basis, you might be interested in the iPhone Upgrade Program. You can learn more on the Apple’s website and our own explainer. Display: 5.8-inch diagonal all-screen OLED Multi-Touch display, featuring 2436 x 1125-pixel resolution at 458ppi and True Tone technology. Back-facing camera: 12MP wide-angle and telephoto cameras (Wide-angle: ƒ/1.8 aperture; Telephoto: ƒ/2.4 aperture). It has an optical zoom, and a digital zoom up to 10x. It also features Apple’s Portrait Mode, which made its debut in the iPhone 7 Plus and is also found in the iPhone 8 Plus. You can also test out the Portrait Lighting beta on the iPhone X.
Front-facing camera: 7MP TrueDepth camera, also compatible with Portrait Mode. It’s the only camera compatible with Apple’s new Animoji feature. Splash, water, and dust resistance: Rated IP67 under IEC standard 60529, which means it can be submerged underwater for 30 minutes at a depth of 1 meter (slightly more than 3 feet). For all other specs, check out Apple’s iPhone X tech specs page. Without a home button for Touch ID, how does one unlock the iPhone X? With your face! 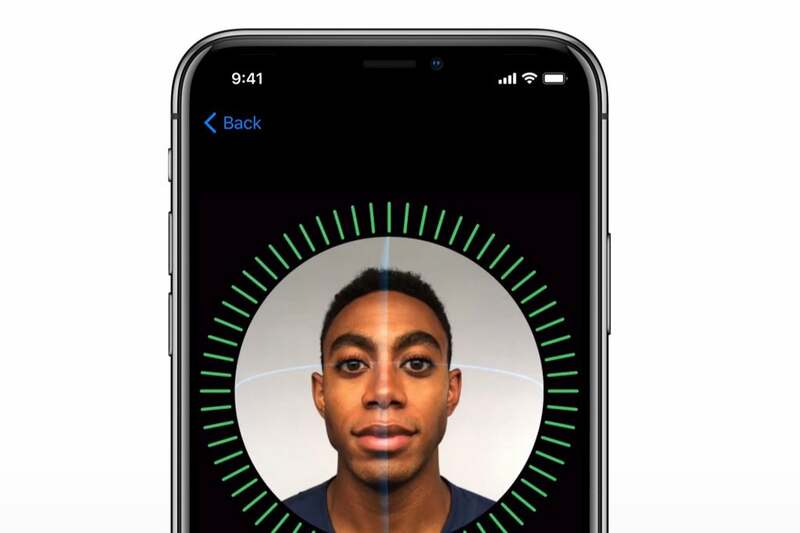 Face ID uses a TrueDepth camera-and-sensor system along the top edge of the iPhone X to detect your face quickly, even in the dark—and even with glasses on, or after a dramatic haircut. Face ID uses more points of comparison than Touch ID, and the iPhone X uses depth-sensing so you shouldn’t be able to fool the system with a photograph or even a high-quality mask. You have to actually look at the iPhone too—if your eyes are closed or you’re looking away, it won’t work. So, no, your kids can’t unlock your iPhone while you’re asleep. (And they could do that with Touch ID!) Be careful if you have an evil twin, though, warns Phil Schiller. TrueDepth uses a whole array of sensors to get this done, in fact. Infrared sensors can detect your face in the dark. The dot projector helps create a mathematical model of your face and compare it to the stored model. A machine-learning neural engine is even built into the iPhone X’s A11 Bionic chip to process FaceID in real time, right on the device. But because Touch ID has gotten so fast, Apple really has a high bar to clear with Face ID. To access the home screen or multitasking menu, you just swipe up from the bottom edge of the screen. Swipe up quickly to go to the home screen, like you’re sweeping the app off the screen, or pause mid-swipe to instead go to the app switcher. You can even swipe between apps if you swipe along the very bottom edge of the screen. You can summon Siri by saying “Hey Siri,” or just by pressing and holding the Sleep/Wake button on the side of the iPhone X.
Apple Pay also uses Face ID to authenticate transactions. Apps can use the Face ID system too, just like they could use Touch ID already. Read our Face ID FAQ to learn more. Like the iPhone 7 Plus, the iPhone X sports two 12-megapixels cameras on the rear, only this time the lenses are stacked vertically. They still protrude from the back of the phone just slightly, but it’s hard to mind when you consider the specs: dual optical image stabilization, larger sensors for lower-light performance, higher dynamic range, zero shutter lag, and an improved quad-LED True Tone flash. Coupled with iOS 11’s Camera app, the iPhone X supports Portrait mode and the beta Portrait Lighting feature, which detects the different planes of a person’s face and adjusts the lighting on each one to make everyone look their best. In fact, even the TrueDepth camera on the front of the iPhone X supports Portrait mode and Portrait Lighting—best selfies ever. On the front of the iPhone X, the TrueDepth face-recognizing camera system has more tricks than just Face ID. A new feature in Messages called Animoji can mimic your mood and expression. They track 50 facial muscles to sync the emoji with what you’re saying, and then send your “talking head” to a friend. You get a dozen options at launch, including the poo emoji. Yes, your dreams of turning yourself into an animated talking lump of excrement (or, I guess, chocolate pudding?) are finally coming true. Inside, the iPhone X sports an A11 Bionic chip, which Apple says is 70 percent faster than the A10 Fusion in the iPhone 7 and 7 Plus. It has six cores, two for high-performance computing that are 25 percent faster, and four efficiency cores to save battery life during lower-intensity tasks. A performance controller can even combine all six cores at once. Apple even designed its own GPU, a three-core version that’s up to 30 percent faster than the GPU in the iPhone 7. Graphics performance is useful for more than just big-name games, though—the iPhone X needs it for augmented reality apps and machine learning too. 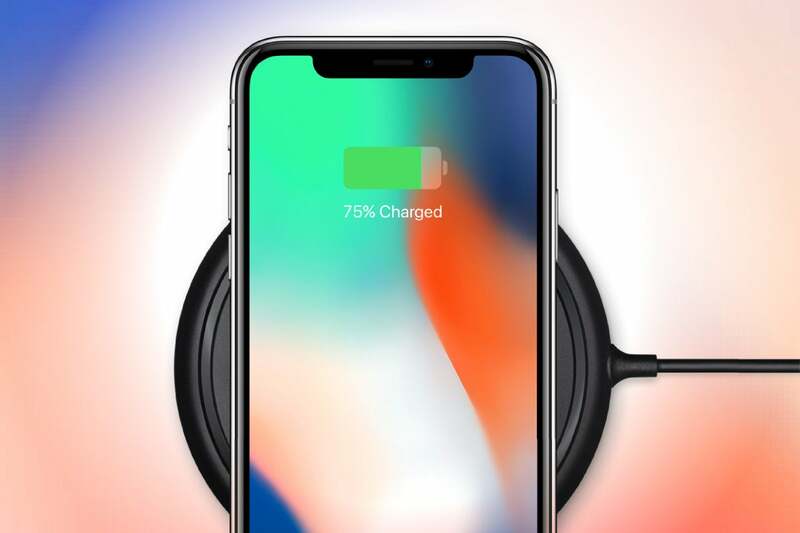 iPhone X supports wireless charging with the Qi standard, and Apple will offer existing Qi charging solutions in its retail stores. Next year, Apple will even sell its own extra-wide AirPower charging pad that can simultaneously charge an iPhone X, an Apple Watch Series 3, and even a set of AirPods once you spring for a new charging case that supports Qi. After the iPhone X unveiling, Macworld contributor and Six Colors author Jason Snell got to spend some hands-on time with the device. His verdict? It’s called the iPhone X? What’s that all about? We heard a lot of wild rumors in the months leading up to the iPhone X’s announcement—and lots of them had to do with its name. First, it was the iPhone 8, then the iPhone Pro, then iPhone 8 again, then iPhone Edition. And, as it turns out, we were all wrong. Why X? Well, Apple hasn’t said for sure, but presumably, it’s a reference to 2017 being the tenth anniversary of the handset (it’s even pronounced as the number ten). Remember, Apple shifted away from the “X” branding last year in its Mac operating systems, switching from OS X El Capitan to macOS Sierra, so there won’t be any confusion with the desktop. And besides, X is a super-cool letter. Why is there still an iPhone 8? The iPhone 8 and 8 Plus were shown off alongside the iPhone X at Apple’s annual fall iPhone event earlier in September, so it isn’t abandoning the old naming scheme altogether. The iPhone X is more like a special edition model like the iPhone SE or iPhone 5c—although we’ll see what happens with the iPhone line in the future. But what about iPhone 9? Hung up on names much? It all depends on what Apple plans to do with the lineup going forward, but remember, Microsoft jumped from Windows 8 to 10, so apparently tech companies just don’t like the number nine. The iPhone X is radically different from any iPhone that came before it, including the iPhone 8 and 8 Plus, which are also new to Apple’s lineup. 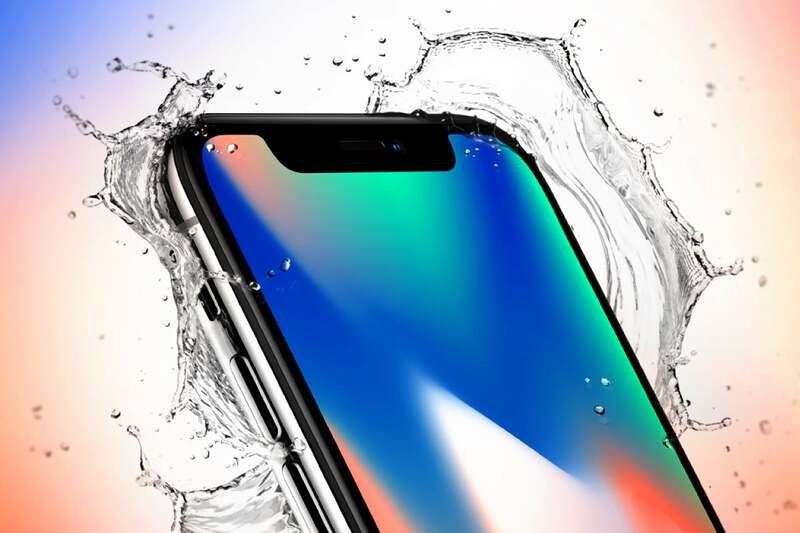 The iPhone X features a completely bezel-less, all-screen design, with a thin notch at the top (for the TrueDepth camera system, speaker, microphone, and more) that juts into the top of the screen. It clocks in at 5.8-inches diagonally, but with a smaller form factor than the iPhone 8 Plus (and all other Plus models). With so much screen, you can say goodbye to the home button, a move that is sure to ruffle some feathers. The iPhone X blueprint, as revealed by the iOS 11 GM. Elsewhere, the layout of the phone is similar, with a sleep/wake button on the right side and volume buttons on the left, along with a dual camera on the back. This time, however, the camera array is arranged vertically in the top left corner rather than horizontally. The iPhone X has an OLED display. Why is this a big deal? The iPhone X is Apple’s first OLED phone, meaning that each pixel directly produces light rather than being backlit like an LCD display. As we’ve seen on Android phones from Samsung, Google, and others, OLED colors are more vibrant with deeper blacks, greater brightness, and superb contrast. In case you’ve never seen a Galaxy phone, you can see the benefits of OLED on the Apple Watch screen. The iPhone X’s display has a resolution of 2436 x 1125, for a shocking pixel density of 458 ppi. Apple’s calling it Super Retina. Like the iPhone 8, it supports TrueTone to adjust the color temperature to the ambient light around you. There are also battery benefits. With OLED screens, black pixels don’t produce any light, so the phone actually conserves energy by using dark colors. Apple claims the iPhone X will get two additional hours of battery life over the iPhone 8. Obviously, this is something we’ll test in our review, and battery life varies based on how you use your phone, but Apple’s estimates are usually reliable. One drawback, however, might be supply. OLED screens are more difficult to manufacture, and Apple is going to need a lot of them. Recent rumors suggest there may be a long wait before the iPhone X gets into customers’ hands. Won’t the iPhone X camera notch get in the way of apps? While the notch juts into a significant portion of the top of the screen, it won’t actually affect useable space. The status bar splits itself into two equal parts, with the time to the left of the notch and the cellular signal, Wi-Fi, and battery indicators to the right. The iPhone X status bar will be split and super-charged. So, while the background color and image extend to the top of the screen, it’s really just for looks—all useable space is below the notch. How will the notch work in landscape mode? The screen will orient itself just short of the notch, so you’ll have two thin bars on either side of the screen to properly frame the app or video. How will I use Touch ID without a home button? Apple has ditched Touch ID in the iPhone X for a new system called Face ID. You can also use a swiping gesture paired with a passcode. The iOS 11 GM shows how Face ID will be set up on the iPhone X. Face ID is Apple’s new biometric system for unlocking the iPhone X and for confirming Apple Pay transactions on the device as well. It will likely utilize a new 3D camera for accurate and secure scanning. In the iOS 11 GM, developer Guilherme Rambo found the full Face ID setup process, complete with toggles for using it to unlock, pay, and autofill; a screen that describes how it works; and authentication animation. So I won’t be able to use my fingerprint to unlock my iPhone X? Sadly, no, you won’t be able to unlock iPhone X with your finger. If Touch ID is a feature you can’t live without, it’s still available on the iPhone 8 and 8 Plus. So, how will I get back to the home screen? The iOS 11 GM (left) shows a new nav bar on the bottom of the screen. The images at the right show how the new dock and navigation bar will likely look on the iPhone X.
iPhone X features a new gesture-based navigation system, so there will be a learning curve. Instead of tapping the home button to get back to the home screen, you’ll find a new navigation bar on the bottom of the iPhone screen. Pulling up from the button of the screen will now bring you back to the home screen, and a longer pull will bring up the new app switcher-Control Center combo. How will I access Siri on iPhone X? In addition to setting up “Hey Siri,” you can summon Siri by holding the sleep/wake button. Are there any cool iPhone X-only features? The hot new feature in the iPhone X is called Animoji. Yes. Face ID is an iPhone X-only feature, but the phone’s TrueDepth camera that packs the Face ID sensors also allow for another fun iPhone X-clusive feature: Animoji. Users will be able to create custom animated messages that use your voice and reflect your facial expressions using the iPhone X’s 3D camera to analyze the movement of your face and apply your expression to your emoji of choice. You’ll have 12 emoji to pick from at launch—yes, including that one. If you’ve ever wanted to send a poop emoji that is animated with your personality, you might need to get an iPhone X. Will AirPods be included in the iPhone X box? Sadly, no. However, a new AirPods container will be released soon, and it will support wireless charging just like the iPhone X. It looks pretty fragile. What will it cost to repair? If you don’t purchase AppleCare+ (which costs an extra $199 for two years of coverage), Apple will charge $279 to replace a broken screen and $549 for any other damage to the device that isn’t covered under the usual warranty. AppleCare+ customers will be charged $29 for screen repairs and $99 for any other damage up to two instances. Learn more about iPhone screen repair and other iPhone repairs.